Does eating breakfast really help control your weight? It may seem like skipping a meal would help you lose weight, but it turns out the opposite is true. Eating breakfast actually helps with weight loss and long-term weight management. Eating breakfast is a daily habit for members of the National Weight Control Registry. These people have maintained a 30-pound (or more) weight loss for at least a year, and some as long as six years. 78 percent of them ate breakfast every day, and almost 90 percent said they ate it at least five days a week, showing that starting your day with breakfast may be an important part of losing weight and keeping it off. Two research studies in the Journal of the American Dietetic Association backed up this finding and emphasized that breakfast is an important cornerstone to weight loss. However, it is important to keep in mind that eating breakfast can be a wonderful cornerstone to your diet or it can ruin it, depending on the type of breakfast you eat. It makes sense that eating early in the day keeps you from "starvation eating" later on. It jump-starts your metabolism. What are some smart breakfast options? If breakfast is the most important meal of the day, it's best to make wise food choices. That's where fruits, vegetables and whole grains come into the picture. Because these are high-fiber foods, they fill you up, yet they bring less fat to the table. If you eat high-energy density foods, such as bagels, you accumulate calories quickly. Whereas when you eat high-fiber, low-energy density foods, such as oatmeal, strawberries, walnuts and low-fat yogurt, you can eat more and get fewer calories. Lean protein is also an ideal choice for breakfast, such as eggs, low-fat yogurt and ricotta cheese. 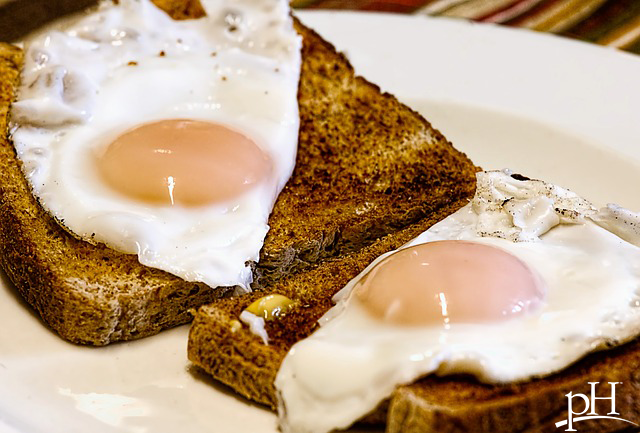 Preferably, your breakfast will be a combination of lean protein and complex carbohydrates, like boiled eggs on whole grain toast. This is a low-fat, low-glycemic index meal that will slowly release energy throughout the morning -- rather than all at once, leaving you hungry again. What are the benefits of eating a healthy breakfast? Less overeating: Eating breakfast may reduce your hunger later in the day, which may make it easier to avoid overeating. Forming good eating habits: Eating breakfast may get you on track to make healthy choices all day. More energy: Eating breakfast gives you energy, increasing your physical activity during the day. A healthy breakfast refuels your body and replenishes the glycogen stores that supply your muscles with immediate energy. Metabolism boost: Maintaining a good metabolism is an important part of long-term weight loss. Some studies show a relationship between skipping breakfast and a strong prevalence of obesity. Until more studies are conducted, individuals should choose a meal frequency that prevents feelings of hunger. Keep in mind that waiting too long to eat between meals can lead to overeating at the next meal. Make smart breakfast choices to support your healthy lifestyle.